The CBI's arrest of Trinamool Congress parliamentary party leader in Lok Sabha Sudip Bandyopadhyay in connection with the Rose Valley chit fund scam on Tuesday was expected to send the political temperature soaring in West Bengal. But few would have seen the mayhem that followed the procedure. 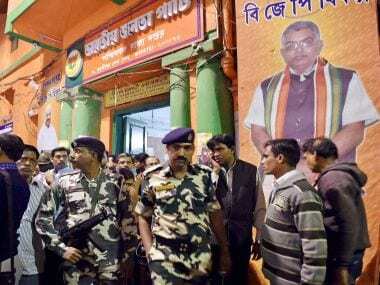 Tuesday evening witnessed unprecedented scenes with alleged TMC goons raining down on the BJP party office in Kolkata armed with stones and brickbats. News agency IANS put the number of TMC activists as "hundreds" and reported vandalising of the cars parked outside. About 15 to 17 BJP workers were reportedly injured and a few bled from the head as they spoke to the media. In the ensuing bedlam, TV footage in local channels showed cops resembling onlookers or pleading with the protesters. 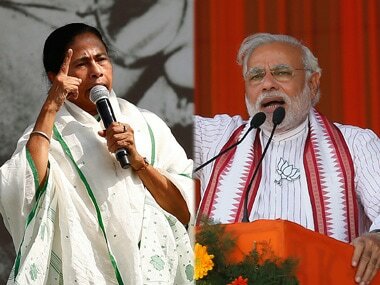 The situation turned volatile as soon as a furious Mamata Banerjee accused the prime minister of indulging in vendetta politics and claimed that her top aide's arrest had nothing to do with corruption and everything to do with TMC's anti-demonetisation stand. 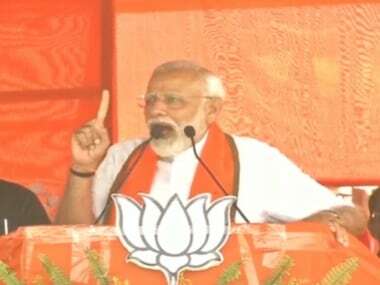 In a Facebook post, the Bengal chief minister said: "We strongly condemn the politically vindictive attitude of Narendra Modi and Amit Shah. They have arrested our Parliamentary Party Leader Sudip Bandyopadhyay. He is a veteran politician and senior leader of our party. "It is all because of our fight against #NoteBandi. We are and will be with the people. Nothing can stop us from being with the people and we will continue with our protest against #NoteBandi. "The situation now is more than that of financial emergency - from financial to political emergency. We condemn, condemn and condemn this." She went on to urge the party workers to hit the streets and promised an indefinite period of nationwide protests, dharnas and remonstrations from Tuesday. "I challenge the prime minister, he cannot do anything, can't suppress the voice of the people. He can't bulldoze people. Many political parties are scared, but are not able to speak out. Emergency situation is going on. People should come out on roads against demonetisation, people will teach them a lesson," she told IANS. CBI's arrest of Bandyopadhyay, who faced a four-hour grilling on Tuesday in the agency's Kolkata bureau, follows the arrest of Tapas Pal, another top TMC leader, last Friday. Actor-turned-politician Pal was apprehended for his alleged role in the Rs 60,000-crore scam in which millions of poor investors were cheated of their life's savings. Operating out of Bengal, the group whose chief Gautam Kundu is now behind the bars spread its business in multiple states and had its fingers in several pies including real estate, media, resorts and films. 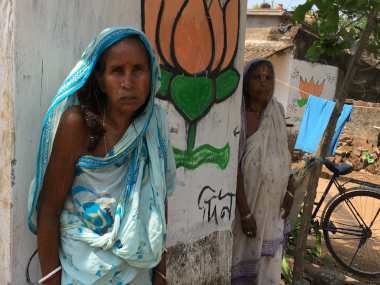 The ponzi scheme is said to be seven times bigger than the much-publicised Saradha scam. According to a News 18 report, the CBI had raided Pal's residence last year and the Enforcement Directorate, which is also probing the scam, has sealed over 2,600 bank accounts across the country. The Securities and Exchange Board of India has been probing the company since 2013. There will always be space for political posturing over the arrests. Charges of "vendetta politics" is nothing new in Indian polity. Without, however, going into an argument over whether or not the arrest of two top TMC leaders in the space of a week in connection with the multi-crore ponzi scams represented an act of 'vendetta', it is reasonable to expect that political parties will, especially ones that run governments, show restraint while registering their protests. Dissent is an inevitable part of democracy and parties are well within their rights to express it whenever it is politically important or beneficial to do so. Constitution allows multiple ways to stage protests in consonance with the law of the land. There are also legal options available if TMC feels its leader has been wrongly apprehended. Moreover, the CBI still has to prove its case in the court and past records suggest that it is not a foregone conclusion. The meltdown that was witnessed in Kolkata on Tuesday, however, raises several questions about the lightness with which the TMC supremo wields her power. The arrest of Bandyopadhyay cannot be an excuse to throw the law to the dogs. The ease with which alleged TMC activists attacked BJP workers and vandalised the party office and the helplessness displayed by the cops are disturbing signs for the state of law and order in Bengal. The CBI arrest may or may not be politically motivated but absolutely nothing justifies vandalism. 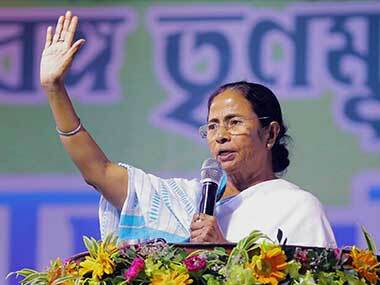 If she envisages a national role for herself beyond the boundaries of Bengal, Mamata will perhaps do well to ponder how she has perhaps let slip a political opportunity by her over-the-top posturing.